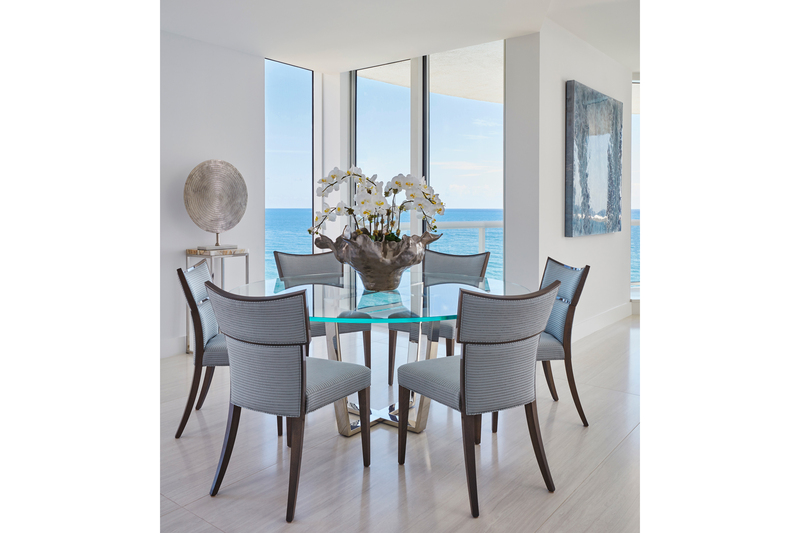 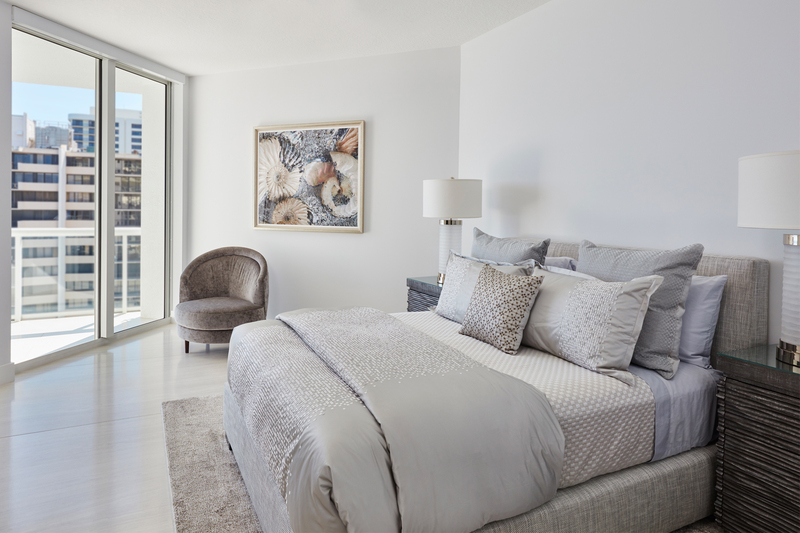 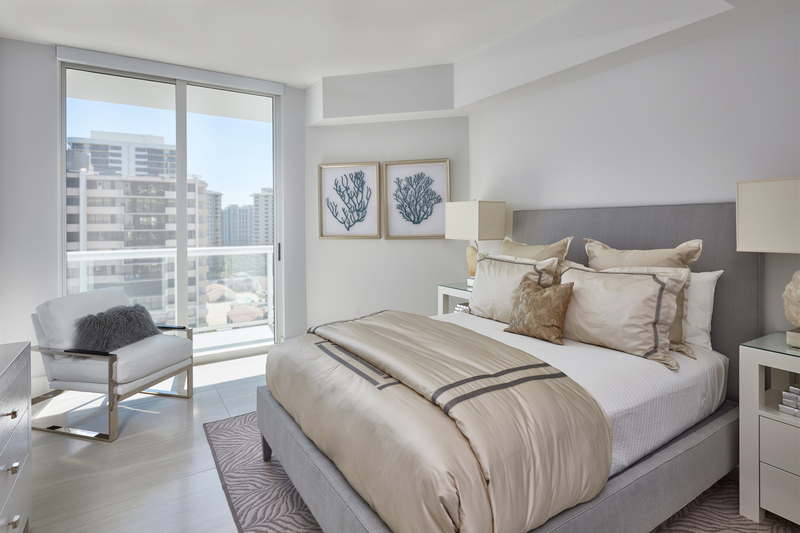 This oceanside contemporary condominium is a sophisticated space that evokes relaxation. 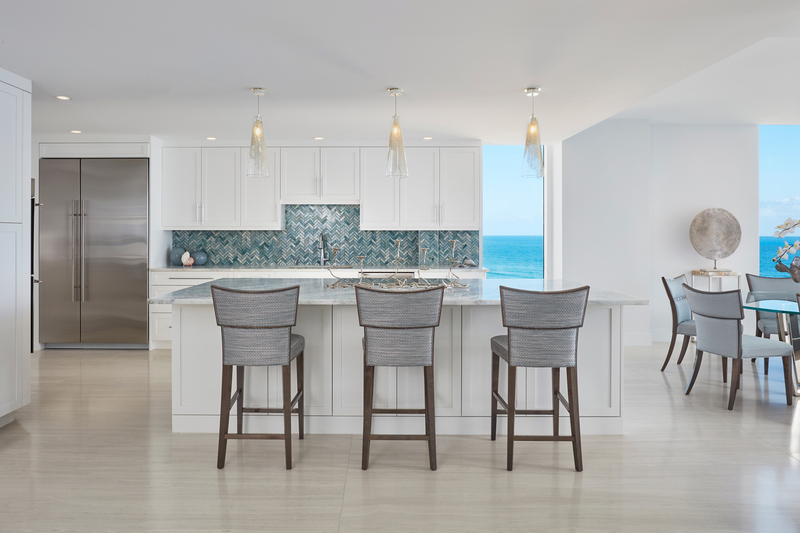 Using the bright blue and easy feel of the ocean as both an inspiration and a backdrop, soft rich fabrics in beach tones were used to maintain the peacefulness of the coastal surroundings. 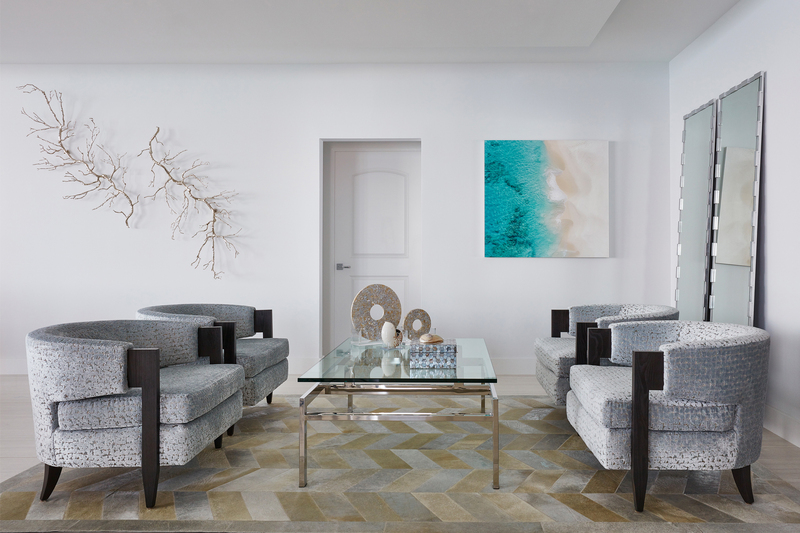 With soft hues of blue and simple lush design elements, this living space is a wonderful blend of coastal calmness and contemporary style. 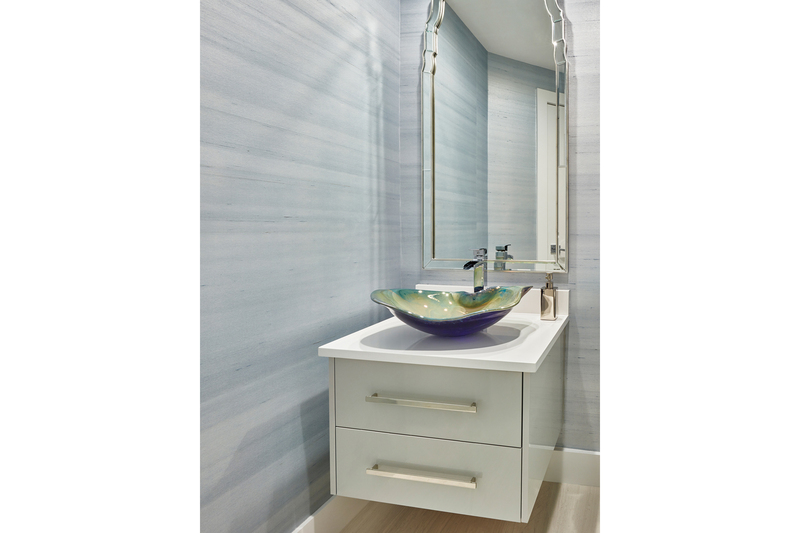 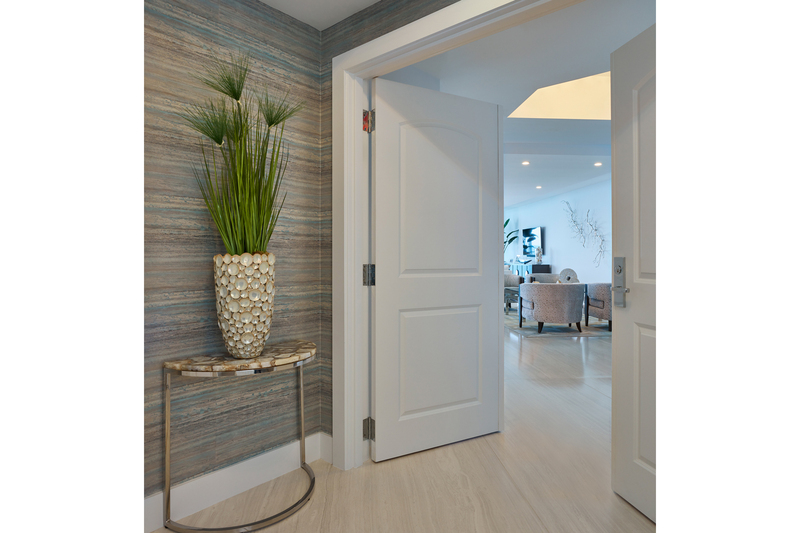 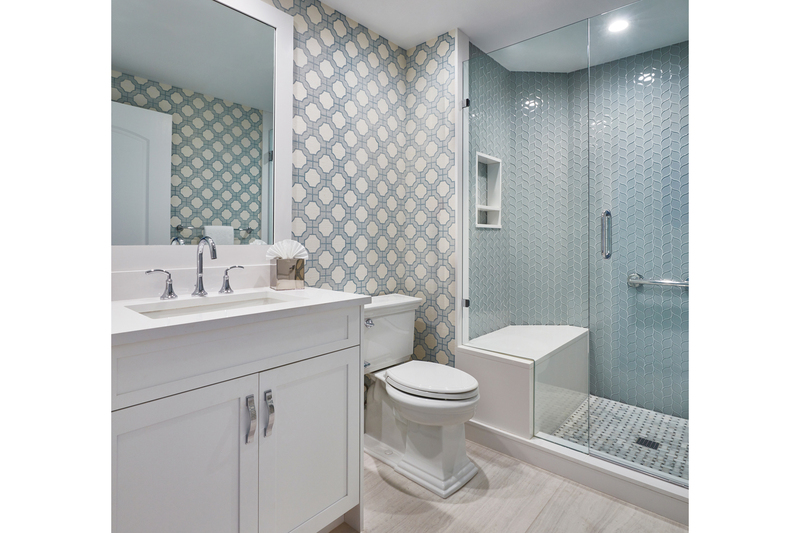 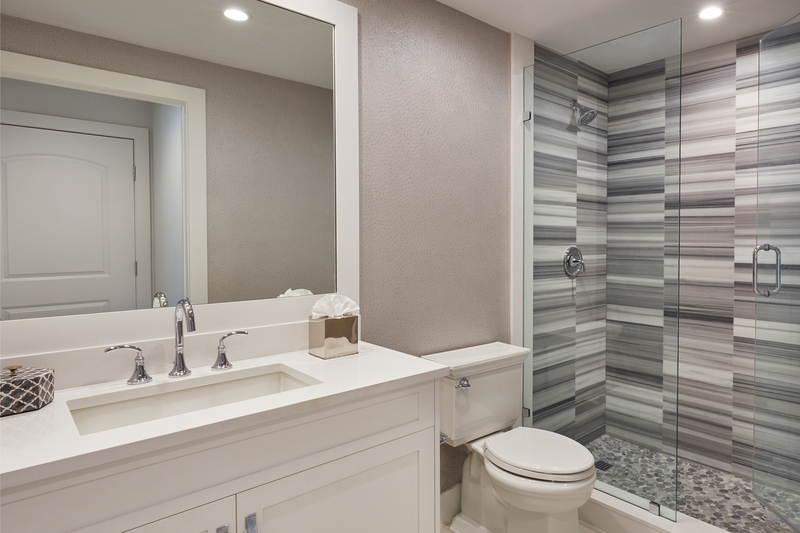 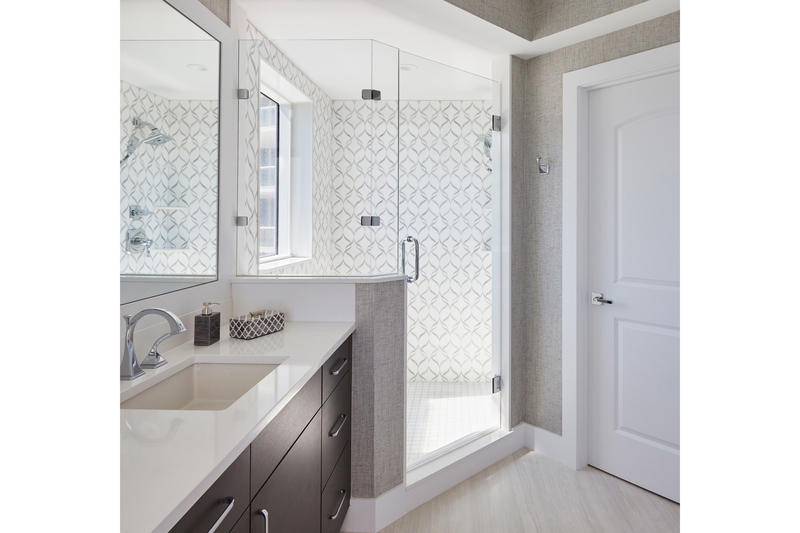 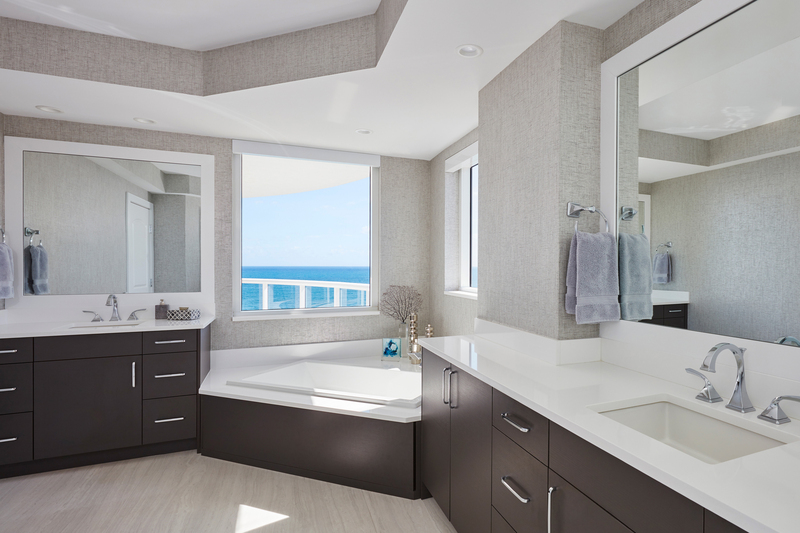 Textured wall papers were used to enrich bathrooms with no ocean view to create continuity of the stunning natural setting of the Palm Beach oceanfront.